This is a guest blog I wrote for Galgorm Resort & Spa. Here I answer my most frequently asked questions and tell you a bit about the people behind the business. Put your feet up and enjoy a little read. I’m Gemma, I live in Castledawson with my husband John and two kids. 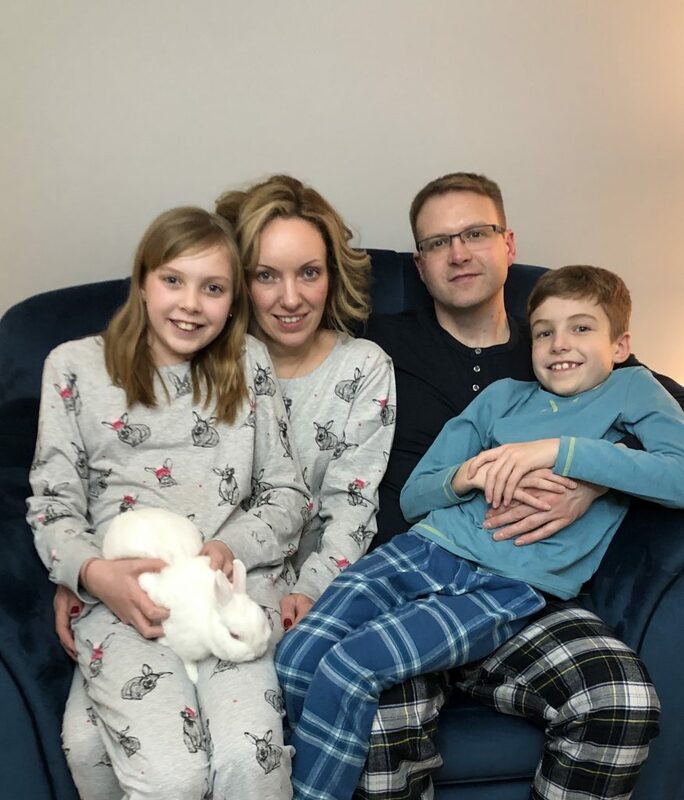 Olivia (10) and Jack (8), oh and our pet rabbit Ralph who was named before we found out he was a she! What did you do before cakes? Growing up I never really knew what I wanted to do in terms of career. I decided to enrol in secretarial, for two years I studied this. My first proper admin job was in the Northern Ireland Housing Executive. Whilst I was there I worked part time for ‘Richard Branson’!! I was a party planner or direct seller to be more fancy! I grew a team of girls and worked my way up to Branch Sales Manager. Even managing to qualify for various trips along the way. Never did I think I would love sales so much, however, my experience with this gained me my next job. 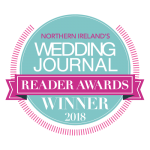 Wedding Sales Co-Ordinator at Galgorm Resort & Spa! This is where a passion for weddings began! How did you get into making cakes? This was my thinking until I needed a cake for Olivia’s 4th Birthday! Ballet being her thing I really wanted to have a cake with ballet pumps on top. I couldn’t see what I had imagined in the shops so I decided I would give it a go myself! I could make the pumps and then just buy a cake and set them on! I’m very much all or nothing so I ended up baking and decorating the cake as well. It turned out well (looking back it was ropey enough but not bad for a beginner) and with lots of encouragement from John, family and friends I started my business page. Overnight life as we knew it changed completely!! Believe it or not it took a while….. I kept coming up with these quirky ideas involving cake. 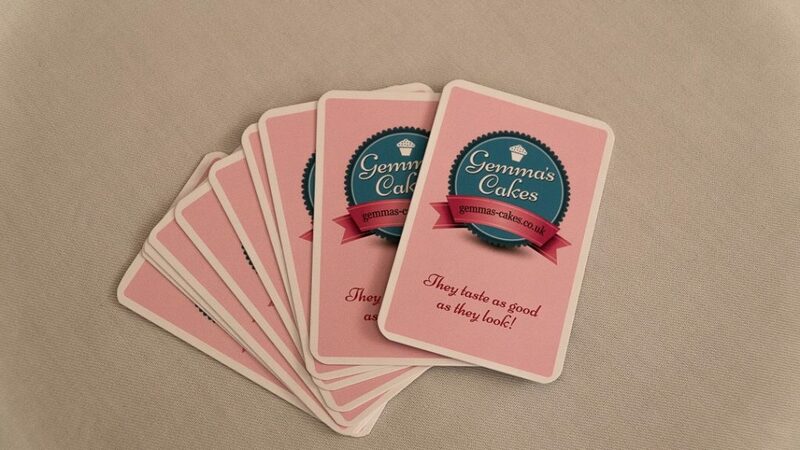 John just kept saying, keep it simple, go with Gemma’s Cakes! So many times I’ve been glad I did, it saves people asking me my name for a start! Once I had set up my Facebook page, apart from an afternoon cupcake course, I just learnt as I went along! As soon as someone would order a birthday cake I would figure out how to do it! It was tough going. The kids were two and four and I was working a demanding job. This on the three days a week that were busiest for cakes. After almost 8 months I decided something had to give and handed in my notice. I loved my job but I knew I had to give this business my all! 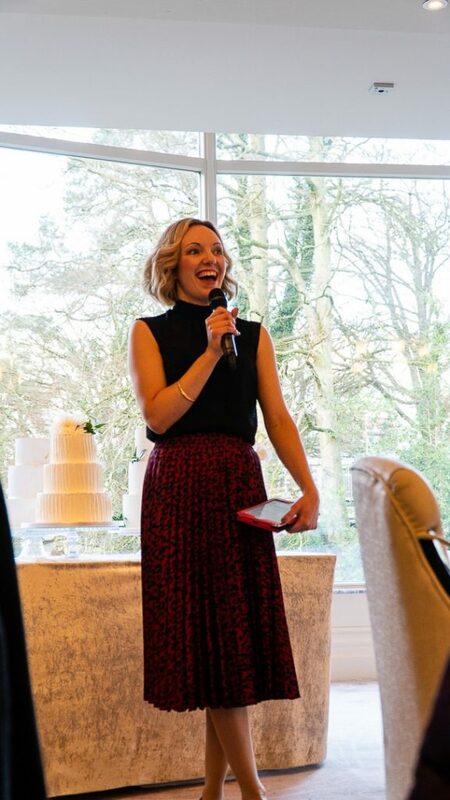 Was it hard leaving your job as a wedding co-ordinator? Looking back I think goodness it should have felt more scary, it just felt like the right move. I was a little worried about going from working with others to being on my own. I knew I would miss appointments with my lovely brides & grooms. 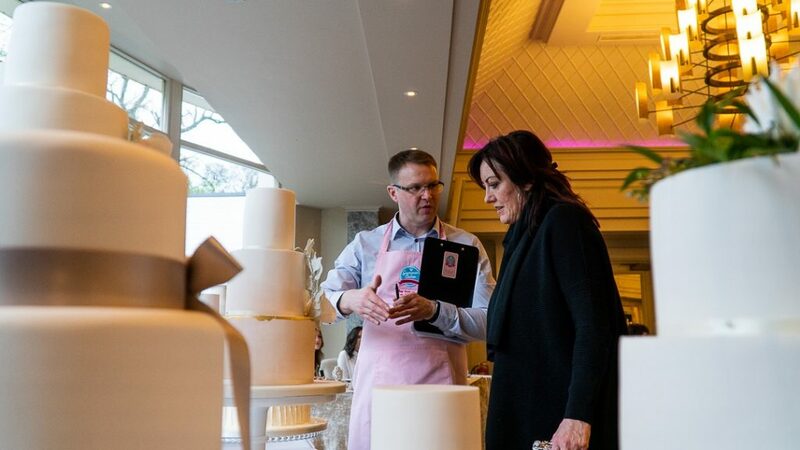 Now our main business is wedding cakes I still get to do this and I love it! How did you end up working with your husband? We all want to know what that’s like! As soon as I left my job business took off. John was coming home at night from a job he had no love for and offering his help! Initially I thought by the time I showed him what to do I could do it myself! I gave in and for four months until he left his job he baked at night and I decorated. We had talked about him leaving his job eventually but his decision came sooner than we had planned. This was a little more scary! He had my full support. We both agreed we would try it and if it didn’t work out he could just get another job. From then on we didn’t look back. I haven’t baked since! John does all the baking and I decorate. Lots of people can’t understand and say they could never work with their husband. I won’t lie, the first six months were tough enough working in our little kitchen. The noise of his mixer used to drive me mad! We’ve always been happy in each other’s company. We are better together than apart so once we got into a routine it was great. Like any couple we have our ‘off days’ but John is very patient! Do you work from home or where do you make your cakes? After working from home for almost 4 years we decided enough was enough – we were limiting ourselves. It was obviously the right time as we managed to get our workshop just around the corner from our house. The next best thing to working from home…we could walk there…we don’t though! I hold tasting appointments in our house and find people just love being invited into our home. Apart from cake decorating how do you spend your time? Time with family is the best! Being self employed can have it’s down sides, for example you never really switch off. On the other hand, we don’t need to get a holiday form signed. For example if we want to take off somewhere for the day or go to something at school. I also have a huge love for interiors and enjoy nothing more than another room to decorate! I have a long list of things I want to do in our home. Unfortunately the bank balance doesn’t always allow it! John is forever telling me to calm down. Then there’s Instagram to share home, family and work life. Updating my stories daily is like some kind of therapy! Lots of things! Colours, themes…..I do love when a bride shows me her invites. I can come up with something that ties together cake, invites, tableplan etc. Google is also my bestie – where would we be without Pinterest and Instagram for inspiration! 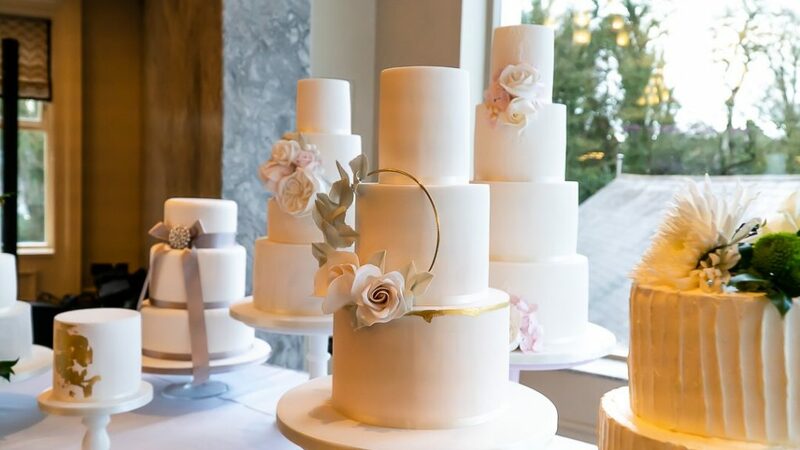 What’s the most common cake question you get asked? 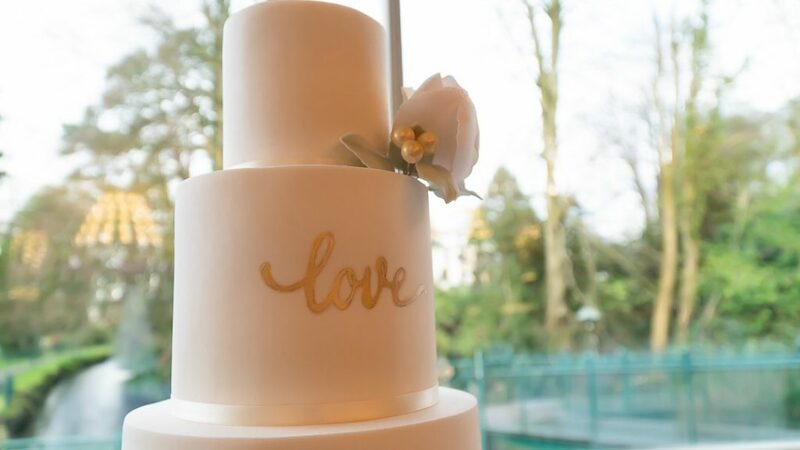 When do we need to book our cake? and What are your most popular flavours? 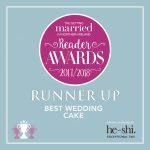 I recommend you book your cake supplier as soon as you book your venue. This way you are guaranteed your date. It doesn’t mean you have to pick your design or flavours when you book. I don’t expect this until much closer to your wedding! Our top two flavours are Raspberry & White Chocolate and Chocolate Guinness. Both are great all rounders and the Chocolate Guinness is a huge talking point with your guests! People always ask what about fruit cake? Is it still a thing? The answer is…if you want it to be? There is no right or wrong! I personally love fruit cake and John’s is obviously the best! If you don’t want to pick it as a main choice you can add on a small one! I have brides who tell me they only ordered to keep their mum happy. Then they ended up loving it too! Where does Gemma’s Cakes go from here? We are always brain storming so no doubt there will be new things ahead. Every year is so different so we are very excited for what comes next! Follow along on Gemma’s Cakes Blog (Instagram) to hear it first!